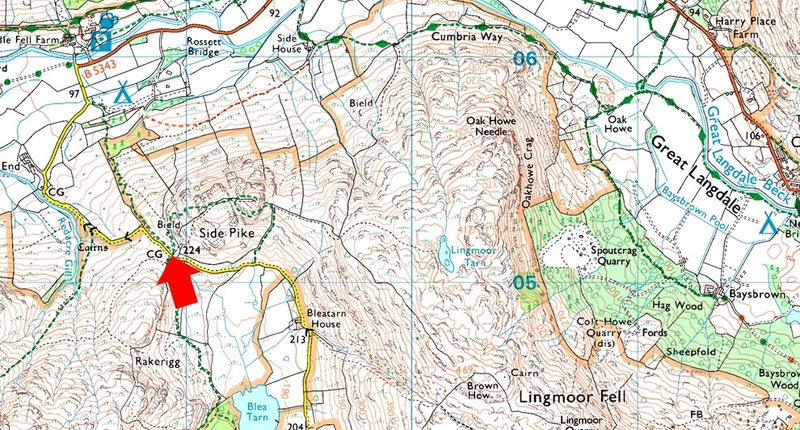 Notes: The main parking for Blea Tarn can be found opposite the tarn itself were there is a Pay and Display car park. Continue past Blea Tarn before the road starts to descend sharply where you will find roadside parking for around two cars on the right, if you cross the cattle grid you have gone to far. Parking here provides excellent access for Lingmoor Fell, Side Pike, Pike O'Blisco and of course Blea Tarn. Due to the minimum spaces it is advised to arrive early. Parking is free.